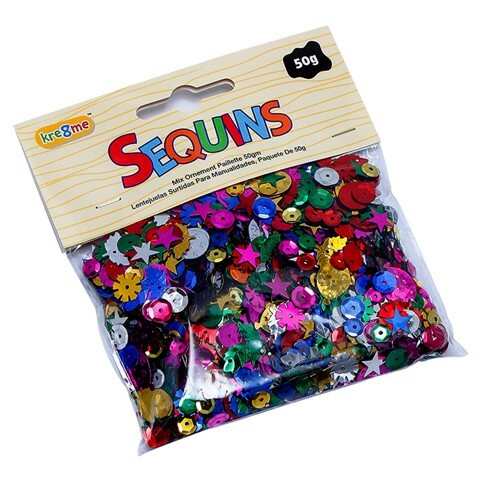 Craft Mix Sequins Pack 50G. 50g. Assorted Metallic Colours. PVC. 50G Packaging: Polybag Header Card.